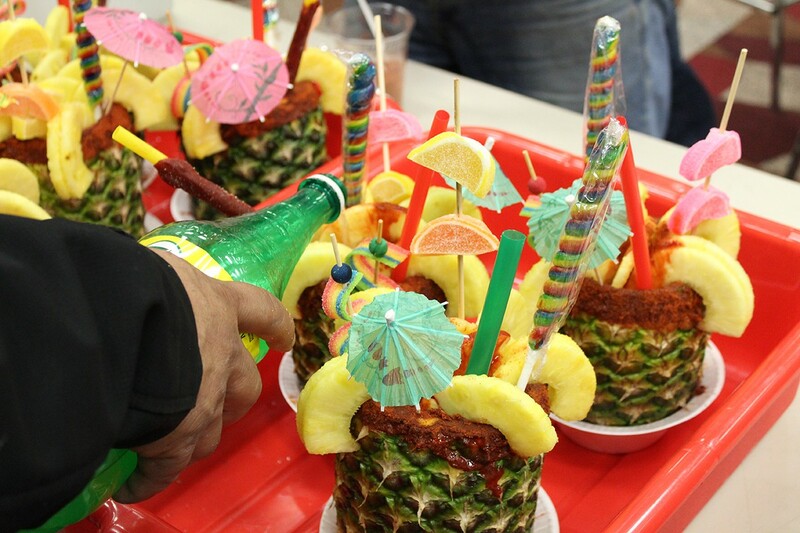 Piña Loca from Fruteria Cano, new this year at the 2018 Houston Livestock Show Carnival. Photo by Scott Sandlin. The 2018 Houston Livestock Show and Rodeo starts Tuesday, February 27 and this means crowds will soon descend on the carnival grounds. There are several new, fun food options for 2018 along with all the longtime food favorites like funnel cakes and turkey legs. 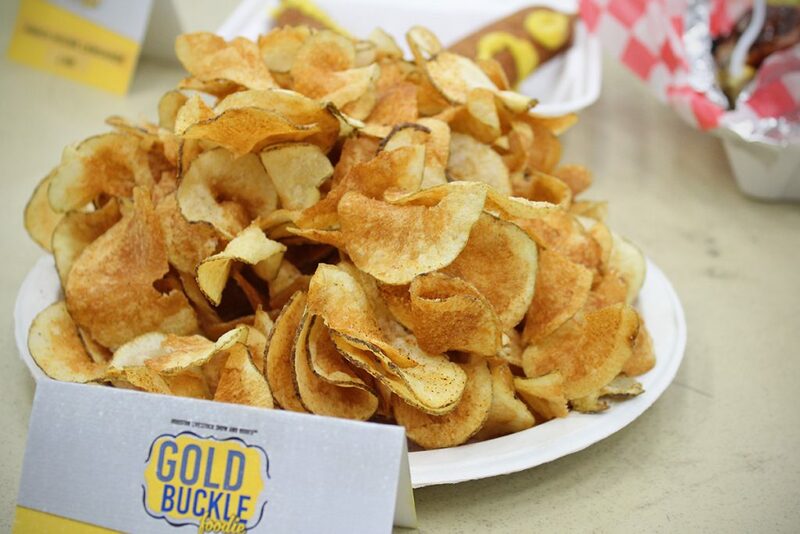 Around 40 media representatives from local television, radio, newspaper and web outlets were invited to serve as judges yesterday at the annual Gold Buckle Foodie Awards to pick the best carnival food offerings of the year. It’s an opportunity for the vendors to show off their fun, tasty or downright crazy concoctions and compete for the ornate and coveted gold belt buckle plaques in several categories. After more than two hours of sampling and rating food submissions, the votes were tallied and this year’s winners selected. A few of the 50-plus tasty submissions are featured here, with a complete list of the winners below. 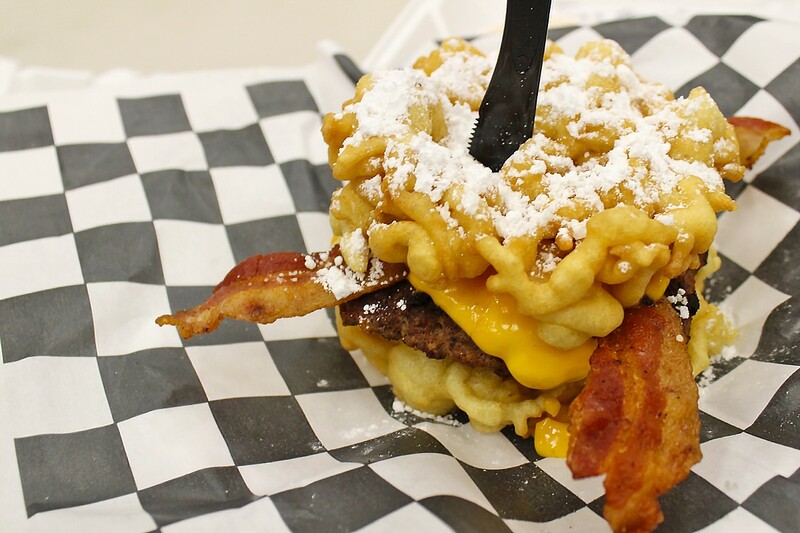 How about a double bacon cheeseburger, with funnel cakes for the bun? The Texas Sized Pizza and Burger and Chili Shack came up with this winning mashup of two carnival favorites. Photo by Scott Sandlin. Visitors to the carnival are encouraged to track down all these tasty bites for themselves. The truly dedicated can take the Gold Buckle Foodie Challenge by downloading the RODEOHOUSTON mobile app (available for iPhone and Android) and scanning the QR code at each winning vendor’s location. After trying all eight, visit the Social Station located at the entrance of Hall D in NRG Center to claim a prize. 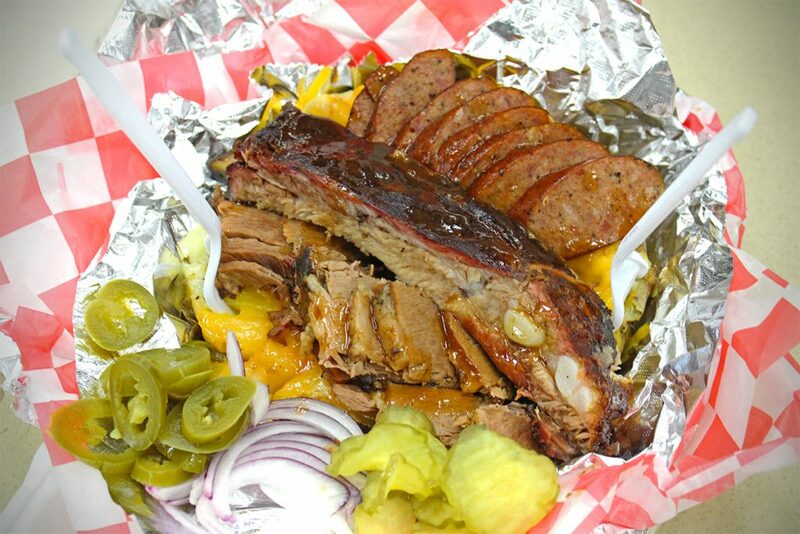 Joel Cowley, president and CEO of the Houston Livestock Show and Rodeo reminded everyone that “you can get a salad if you want, but I’m not sure why you would.” Cowley is of the mind that the Rodeo Carnival is the chance for you to eat that one favorite thing, one time a year, and just be able to enjoy it. “In my view, there are no bad foods, just bad diets,” Cowley added. Homemade potato chips, a perennial favorite at the Houston Rodeo Carnival. Photo by Scott Sandlin. Three-meat stuffed baked potato from Harlon’s BBQ. Photo by Scott Sandlin. 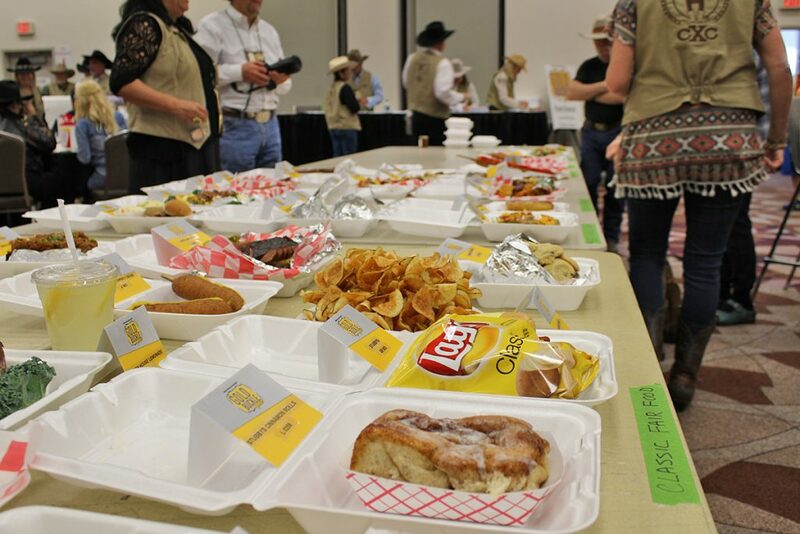 Entries arrive for the 2018 Gold Buckle Foodie competition. Photo by Scott Sandlin. Rodeo Houston runs through March 18 at NRG Park, and is one of the most attended events in Houston, drawing over 2.61 million people last year over the 20 days of the event.